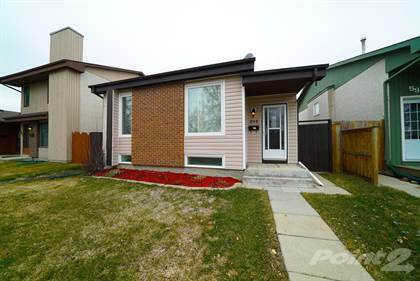 I am interested in 62 Bryn Mawr Rd, Winnipeg, MB. 62 Bryn Mawr Rd is a 1803 square foot House for sale in Winnipeg, MB R3T3P5. It has 5 beds, 3 baths and was listed on Ovlix.com since April 15, 2019 by Skyone Realty Ltd. for $379,900. Listing agent: Keri (xuegai) Zhu. The average price for similar 62 Bryn Mawr Rd real estate listings - $609,680 which is 32% higher than $414,767 for Winnipeg, and 61% higher than $378,485 for Manitoba. Comparable nearby homes are: 213 Charing Cross Cr, 32 Burke Bay, 139 Edge Park Cr, 430 Windflower Rd, 29 340 John Angus Dr. What's near 62 Bryn Mawr Rd, Winnipeg R3T: Pizza Hotline, Centre for Ukrainian Canadian Studies, St. Vital Centre, Four Points by Sheraton Winnipeg South, St. Vital Park, General Byng School, Fort Whyte, Riel House, Micheal P's.